Monty Don visits some of the most famous and interesting gardens in France. 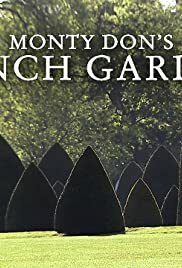 Monty Don, a Gardening expert, visits gardens in various areas of Italy. Horticulturalist Monty Don works with amateur gardeners to help them create the garden of their dreams. Horticulture aficionado Monty Don explores the history, customs and wonders of the Japanese gardens as well as what they mean to the Japanese and what role they play in the complex Japanese culture. In this stunning series, Monty Don sets off on an enchanting journey to visit 80 of the world's most celebrated gardens, from ancient to modern, large to small, and grand to humble. Alan Titchmarsh and his team of experts travel the country to find the dream gardens we'd all like to have. Meeting the colourful characters that create these spaces, they'll show us how we can live the dream at home.